Anneve Hutchinson receives a pleasant surprise – and offers you five ways to stand out and delight your customers. I ordered a dress last week which arrived in no time and was boxed and wrapped beautifully in tissue and ribbons with a sweetie on top. What a cheap but effective way for the company to surprise and delight their customers, differentiate themselves from the competition and build a buzz around their business – their reviews are amazing and part of the reason I bought from them! Is there anything you can add to your offer that doesn’t cost you much but will make your clients feel really special? Stand out from the crowd and get people talking by surprising and delighting your customers whenever you can. Packaging, make it beautiful and eye-catching. Include a small freebie when you send your product, even a sweetie is a nice touch! Reward customers who refer you on with a handwritten thank you note and a cupcake. Sometimes communicate without selling, just provide some useful information or say Happy Birthday. 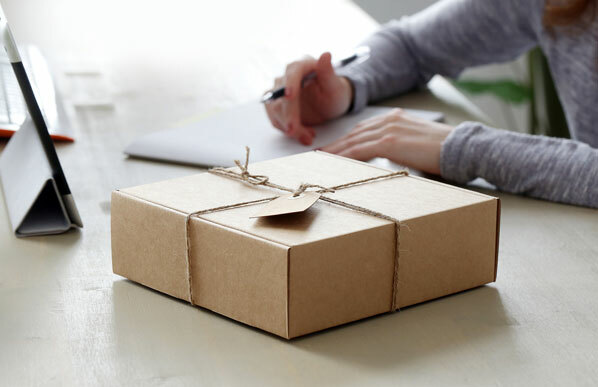 Exceed expectations, send some products out earlier than you normally would, or bake in extra time and then consistently perform well within your stated turnaround period. These are all low-cost but effective ways to make your customers feel good about you and to get them talking to their friends and family about the extra mile you went to look after them. These little touches can also work wonders when you have a less than satisfied customer. When I worked in a customer complaints department I talked with sometimes extremely unhappy customers. The company always wanted to change their opinion if at all possible. An apology and gesture of goodwill went an incredibly long way in helping a customer feel good about us again. The gesture often wasn’t expensive, sometimes even a small box of chocolates or a discount off a future order was all that was needed to rectify a poor experience. It was very satisfying to be able to close a complaint with a thank you from the customer saying how nicely their problem had been dealt with. A personal touch with all your customer interactions is essential in modern business. Each customer is extremely valuable in terms of future business and referrals, so make each contact with them count and don’t underestimate the power of human rather than automated contact – although even automated communications can be written in a personable and friendly way. Making your customers feel special and delighting them with thoughtful service is often one of the few things that will help you stand out from the competition. Anneve Hutchinson, BA (Hons) M IDM, is the leader of e-Vis Marketing & Web Consultancy, which provides web site design in Surrey, UK. The training and consultancy e-Vis provides for small businesses is designed to help everybody understand online marketing and create their own marketing plan that will help their business grow profitably. Put Your Customer’s Shoes On!